Elia focuses on several insurance coverage practice areas including third-party insurance coverage, general liability, and environmental and toxic tort liability coverage. Elia also focuses on property insurance coverage and bad faith claims litigation. She has served as defense counsel for insurers in commercial and residential property insurance cases resulting from hurricanes, hailstorms, and other first-party claims. Elia is a shareholder in the firm, and her primary areas of practice are industrial employment/long-latency lung disease litigation, insurance defense and coverage, environmental law, and commercial litigation. In the last eighteen years, Elia has successfully defended thousands of occupational exposure claims, including exposure to asbestos and silica-containing products. Elia focuses her practice on insurance coverage litigation and counseling, and has significant experience representing insurers as direct action defendants in litigation in Louisiana. Elia’s extensive experience defending mass tort claims enables her to provide clients with an early strategic plan, vigorous defense, and efficient litigation. Elia‘s professional credentials include being nominated as an AV-rated attorney, an honor bestowed on less than 5% of women lawyers. As an AV-rated attorney, Elia was selected for the inaugural edition of the Martindale-Hubbell® Bar Register of Preeminent Women Lawyers™ – an organization created exclusively for women attorneys who have received the highest possible peer rating in both legal ability and ethical standards. In addition, Elia actively promotes diversity and the inclusion of women and Hispanics in the legal professions through various professional organizations. She is president of the Hispanic Lawyers of Louisiana. 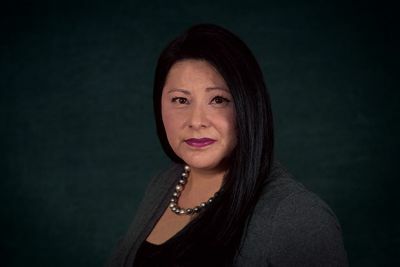 Elia is also a member of the Hispanic National Bar Association (HNBA), where she currently is one of fifty members selected nationally to participate in the HNBA/Associate of Corporate Counsel Executive Leadership Program. Elia also monitors legal trends and proposed laws that directly impact or affect the local Hispanic community. Her professional engagements include presenting a seminar on effectively communicating with corporate counsel, diversity seminars at the 2012 ABA mid-year meeting and 2011 HNBA National Corporate Conference, leading round-table discussions at several in-house corporate meetings, serving as a diversity facilitator for the Louisiana State Bar Association, participating in the Louisiana State Bar Association’s diversity and inclusion video, and presenting continuing legal education throughout the state. Elia also serves on the Board of Directors of the ASI Federal Credit Union, which facilitates loans of all sizes for transportation, home ownership, business development, and education as well as international microloans in partnership with Kiva, a non-profit connecting individual investors with microfinance institutions. In addition to her professional pursuits, Elia also volunteers and participates in a number of social and community programs including elementary school reading programs and various habitat/environmental groups, including Habitat for Humanity. She is a founding member of Candy Girls/Life Savers of New Orleans, a non-profit group that supports and provides services to families in need as well as a local orphanage.